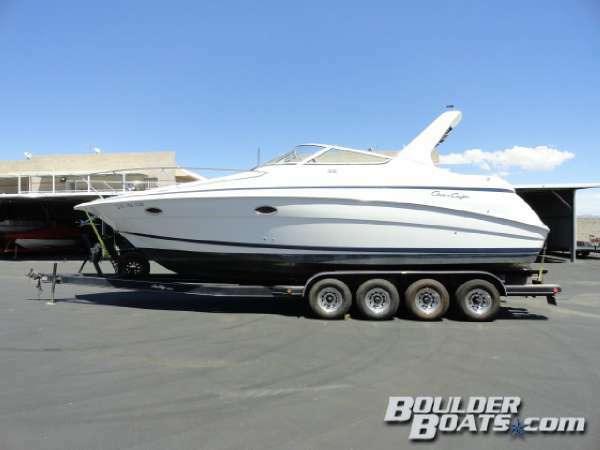 1999 Chris-Craft 320 Express Cruiser Center Helm, Generator, Walk-Thru Windshield, Lots of Great Features! Here is a unique opportunity on a very cool center helm design express cruiser. 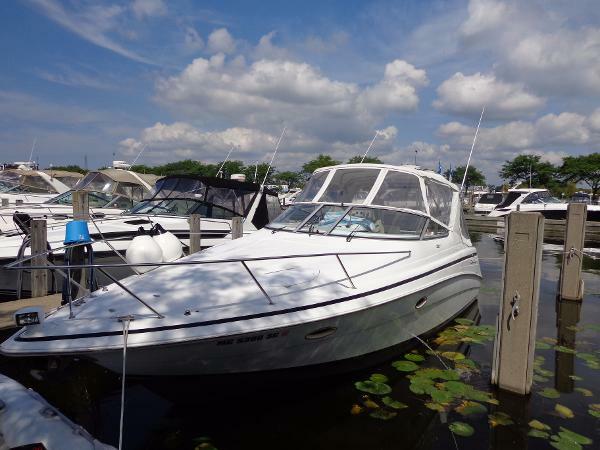 This Chris Craft 320/328 Express is loaded with features such as a Kohler Generator, Air/Heat, Windlass, Radar/Plotter, Stamoid Canvas, Twin Volvo 5.7L GSI's Icemaker and much more! This boat offers a Wide Beam at nearly 12' and has a very open and inviting cockpit layout that is a breath of fresh air when compared to others in her class. A boat of this size with these features for under 50k should truly represent a great value and offer some lucky family a whole bunch of fun! If you have never been aboard one of these I would highly recommend taking a look, I think you will find her to be one of the best laid out, most versatile express cruisers in her size/class. Call or email for all the details. 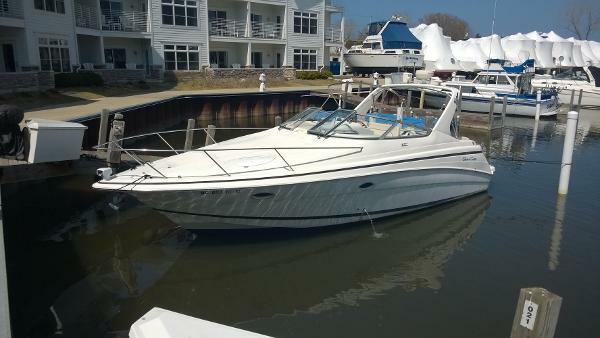 1999 Chris-Craft 320 Express Cruiser 1999 Chris Craft 320 Express, twin Volvo 280hp 5.7 gasoline enginesService 1 serviced both out drives last year and tune up this season.New GPSMAP w/sonar transducer and VFH radio w/DSC in 2014.Boat has a generator, rare option for a boat this size. With 550 hours. and generator less than 50 Standard features of the Chris-Craft 320 Express Cruiser include a concealed anchoring system with anchor roller, cleat and hawse pipe; a full swim platform with concealed boarding ladder; power steering; a liquid filled compass and an in-dash LCD digital depth finder. The forward cabin has a double berth with storage underneath, behind a privacy curtain. The main cabin has a convertible dinette lounge with storage below, a hanging locker, wrap-around lounge seating, opening port lights with screen and opening window to cockpit. In the galley is an AC - DC refrigerator, two-burner electric stove, Granule countertops, molded sink with cutting board and counter top spotlights.